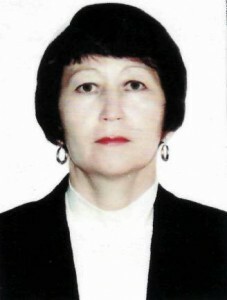 Born in Karaganda in 1964. Higher education, graduated from Karaganda University. Buketov in 1989 in the specialty “Physics teacher”. After graduating from KarSU she worked in secondary school number 14 in Abai as a physics teacher. Sembaeva G.N. Worked at the Department of Physics since 2002, including as a senior lecturer since 2007.In 2015 she graduated from the magistracy of Karaganda State University named after Buketov in the specialty “Physics”. Theme of the master’s thesis: “Geometric ideas – as a method for constructing the study of electrodynamics and SRT”. In 2015, she graduated with honors from the Faculty of Physics and Technology of the KarSU and received the qualification of: Master of Physics. Currently Master of Physics Art. Lecturer, Department of Physics, Karaganda State Technical University. Contact information: 8 (7212) 56-59-32 (ext.2027). Computer simulation of physical processes using the MathCAD package.